I was interested in this light from the FB posts, might have discussed or mentioned it, but was very surprised to find one in a package received from Neal that should have only been just a GT Micro. 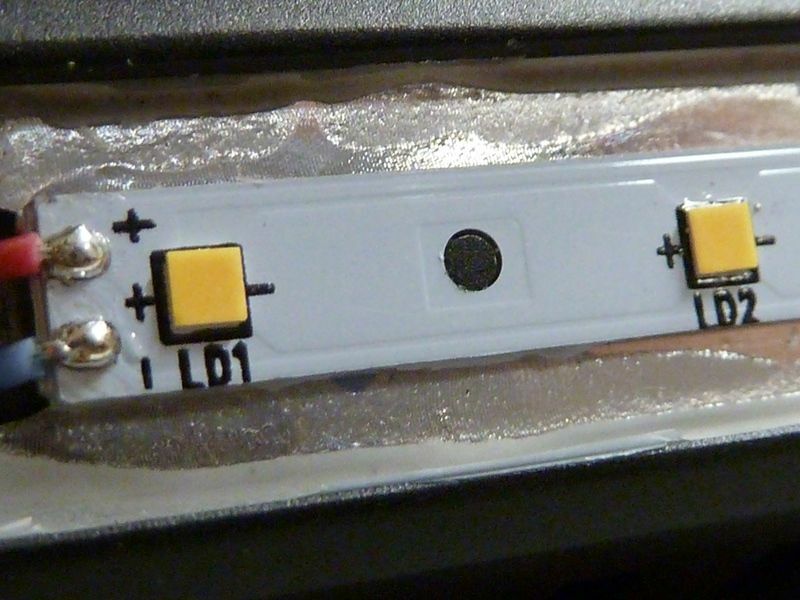 These dual output lights I've found intriguing, There's a lot of dual out, side panel junk out there but with Lumintop, you know you are getting quality. Their choice of LED's is quite unique, somewhat controversial. Using a 12V thrower LED in a little AA size light with an OP reflector is probably a first, but it seems to work well. I'm sure their idea was to have some throw out the front, flood out the side - I like this combo, but I would probably prefer a 18650/21700 size light just for the extra runtime. They limit the potential output I'm sure because of the 14500. I ran two separate tests for the main front LED to see how different cells work. 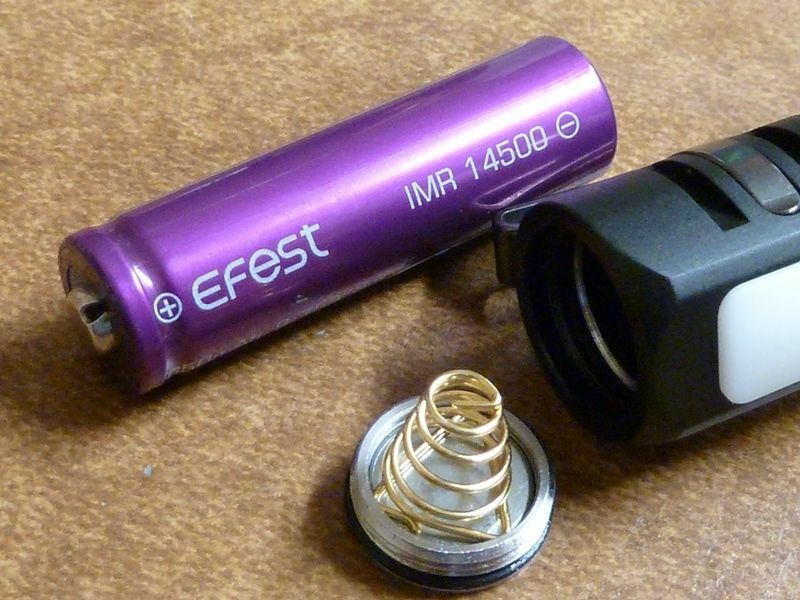 So even though the EFEST is the higher performance cell and about at full charge, the EFEST and Vapcell resulted in the same output. This makes sense for a regulated boost driver, which this light requires. Output is higher on the EDC05C at comparable amp levels, but the SP10B has the advantage of a high amp turbo mode, lacking in the EDC05C but probably because of the compact boost driver, and keeping the cost down. With a few other AA/14500 lights for size comparison, accept for the 18650S on the right. Here's a good pic of the XPL35 HI. I poked a little at the side LED cover and it was coming off pretty easy, so went with it. 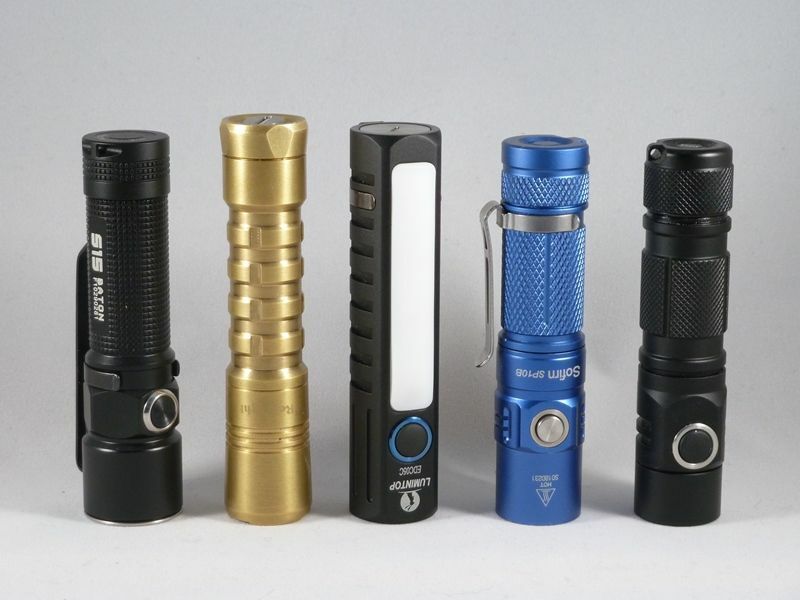 You can get a good view at these special Nichia LED's. Not much info on them, but sold here at FutureElectronics, and Nicha datasheet here. 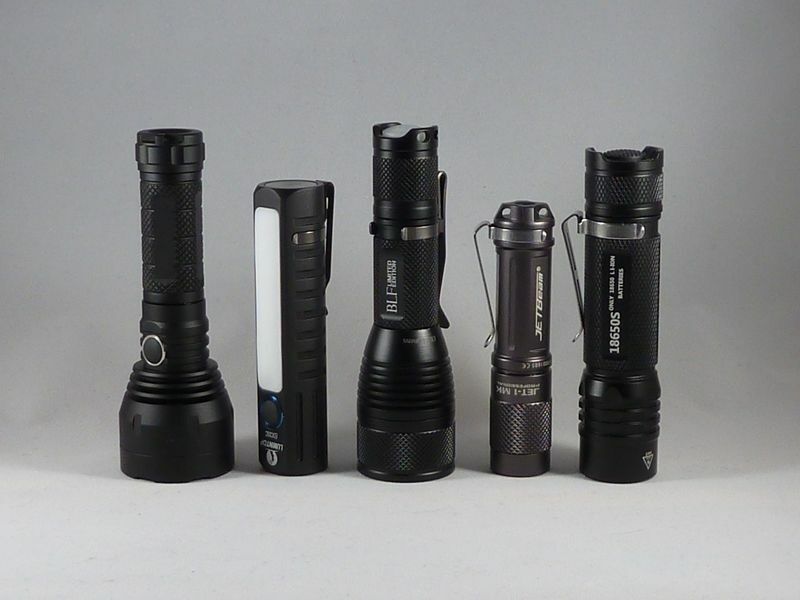 They appear to be in series, which makes sense considering the 12V main XHP35 HI LED. 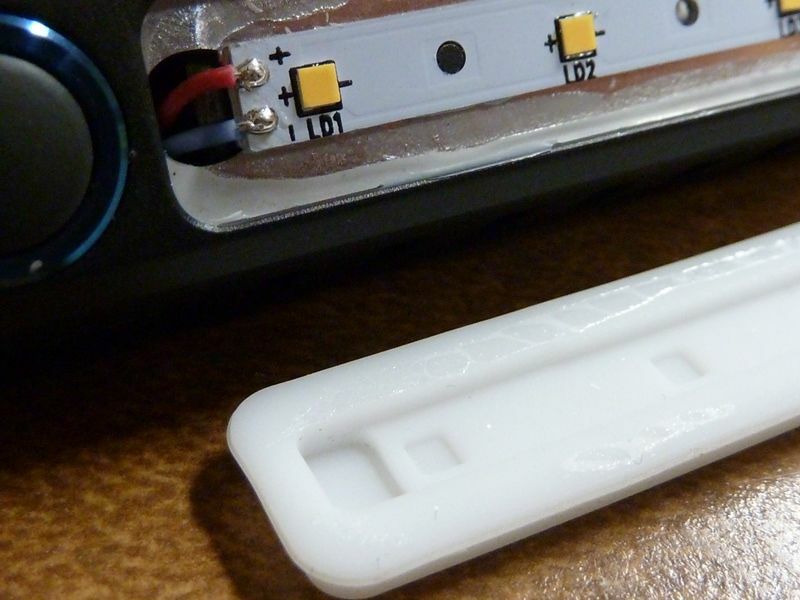 Looks like they glued the cover but it holds in place pretty well without the glue. I was able to re-assemble it easily. Not a good pic, but there's a brass button on the driver side and some flat tops don't work, so button top would be the safe way to go in this light. Hope they will include a good 1000 mAh 14500 with this - would be a good idea no avoid frustrations. Micro US charging, not USB-C. Might be a tight fit - haven't tried it yet. For the magnet, easily removable. 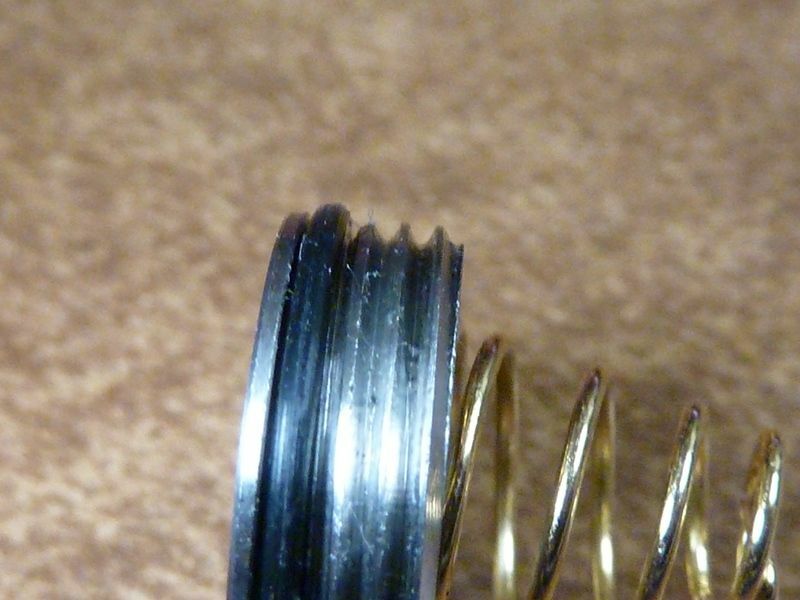 Might need a replacement blank in there so the spring has something solid to sit on. This, of course, is from the sample I got. 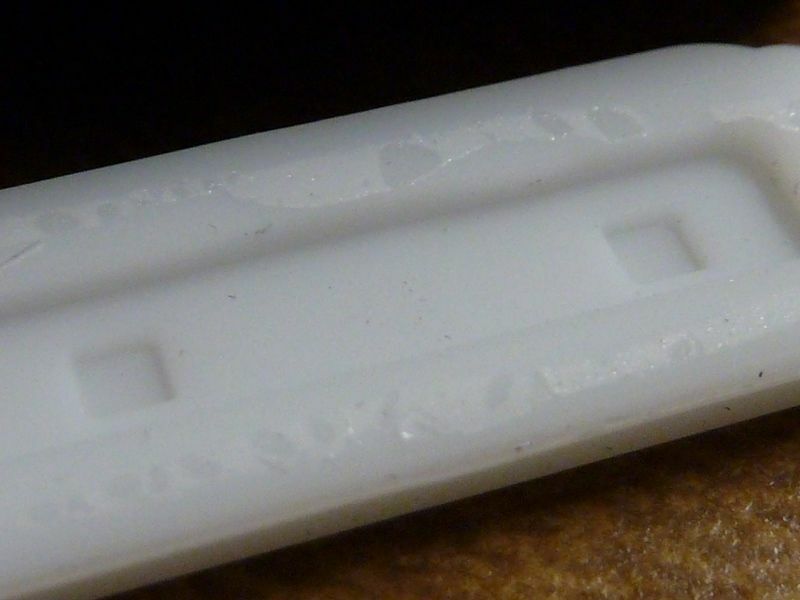 The 4 cells to the right worked, but the AWT did not - flat top was a bit too flat for contact. Hard to tell in the picture, but the EFEST flat top actually protrudes more than the AWT's. I did more battery testing. Below shows 10 unique cells. The 5 on the left worked fine, the 2 protected black cells worked but I couldn't fully tighten the end cap, though it's usable that way. The 3 on the right did not work. So the only flat top I got working was the EFEST, and the 2 protected cells had issues with the length. 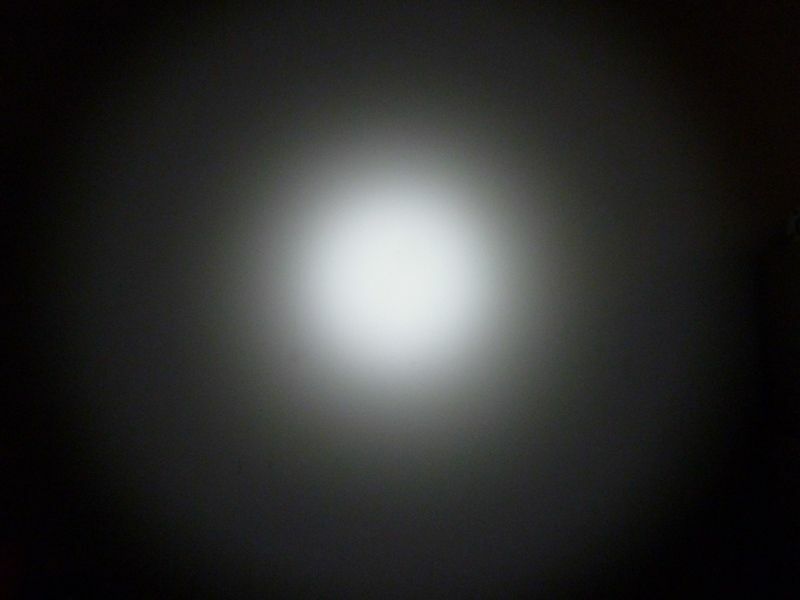 The beamshots are on a white wall but don't represent very well what I was seeing - the EDC05C is more blue and the GT Micro NW is more yellow that what I really saw. The last two are first the EDC05C then the GT Micro. The EDC05C. Individually, the blues and yellows are almost gone, much more slighter effect. This probably all has to do with the camera settings, auto white balancing, etc. ON/OFF: One click the switch for ON, another click to cycle through Low-Med-High, press and hold the switch for 1 second for OFF. Moonlight: When OFF, press and hold the switch for 1 second to enter moonlight in main light, click twice quickly to enter side moonlight, another click will go to general modes. You can turn the light off from Moon, but it acts a little strange - you press&hold but it won't turn OFF the light til you release. Flashing modes: Under Moonlight mode, press and hold the switch for 5 seconds to enter Strobe, another click will cycle through Strobe-SOS-Beacon. Press and hold the switch for 3 seconds will turn it off. 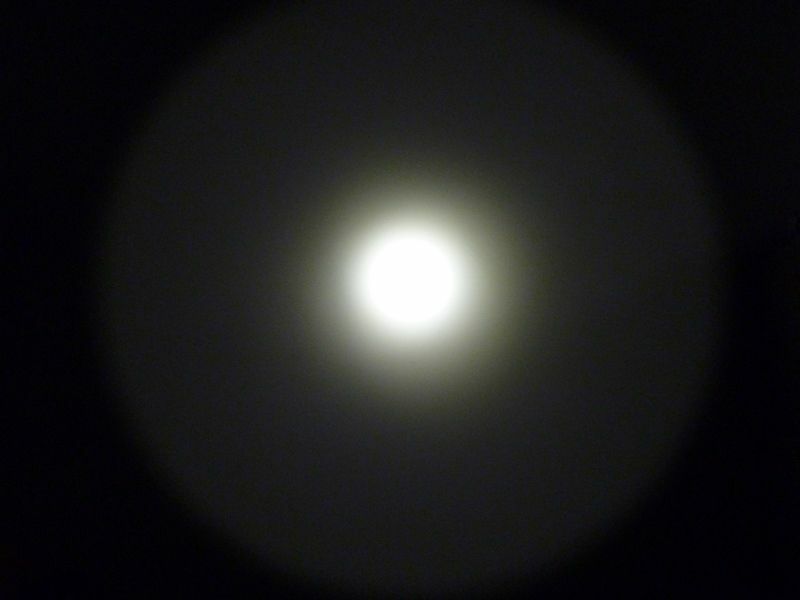 Another click will enter into Moonlight again. Side light: Click the switch twice quickly under unlocking status to turn on the side light, another click will change outputs; to return to the main light, just click the switch twice quickly again. So dbl click is the method to switch between the from and side, but both can't be on simultaneously. Lock-out: When OFF, press and hold the switch for 5 seconds, the flashlight will lock when the main light blinks. The light will only be turned on momentary when clicking the switch again. Press and hold the switch for 5 seconds again will unlock and turn on the light. This is a strange way to do lockout - it's actually a tactical mode but only on about low - weird... When you exit lock-out, wait for the light to go OFF and then ON again -- little tricky. I'm impressed how this light works with an XPL35 HI in there, and really like the side panel/flood configuration combined with the small size, strong magnet, and quality build. For me the deep pocket clip is also a big advantage - it's something I use daily and much prefer the deep pocket designs. Of course, there just isn't much power though, and it tested even with my higher "Tom E" lumens as being under spec: 500 claimed, 418 as tested. The throw did a little better than claimed however. A 14500 cell will limit it's capability. 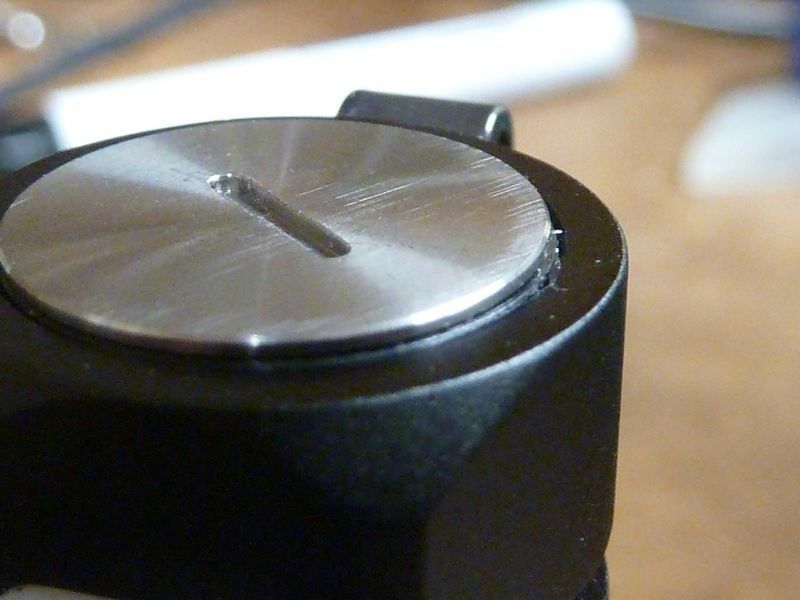 Again I'd strongly recommend a 1000 Mah 14500 button top cell - seems made for this light. They positioned the switch just above the side panel. I can see why - to take advantage of the flat surface, but in a normal hand position, that side panel will be pointing right at you, but I can get used to it. The UI has some klunkiness to it, but it does work. I didn't formally test the lumens output of the side panel, but it does well for it's size - on high it can light up a room, not brightly but fair enough. I also didn't test the USB charging or have time for beamshots. For a CW, I don't mind this CW tint so much - it's very uniform thru the hot spot, corona and spill. I'd still like to have a NW main LED and see a 2 amp turbo mode added. The NW LED is easy for them, but adding the 2A turbo mode might get complicated because the driver probably is amp limited. For modding, the key is to get the bezel open, and I believe from there, all the guts can be accessed. I tried a little using friction assuming the bezel isn't tightly glued, but had no luck so far. I'll probably try a couple techniques soon. 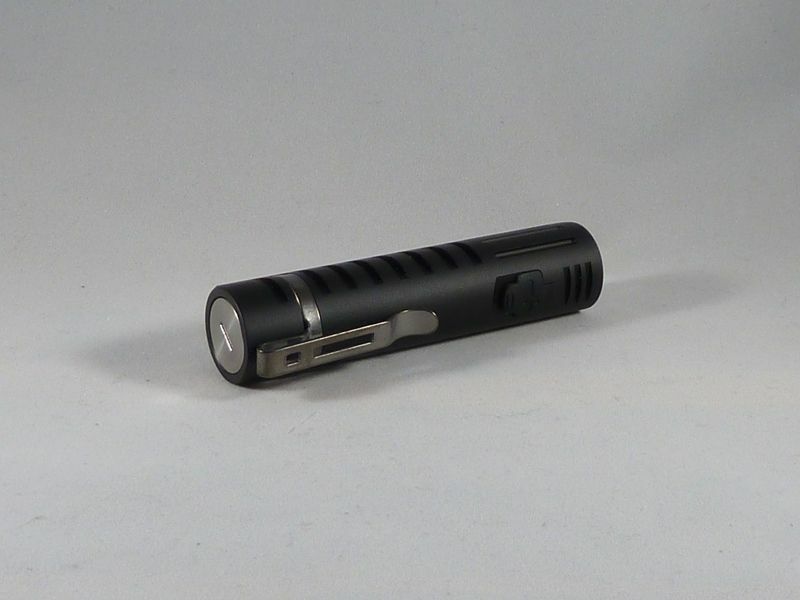 It's a uni-body light so no typical break between the tube and head. 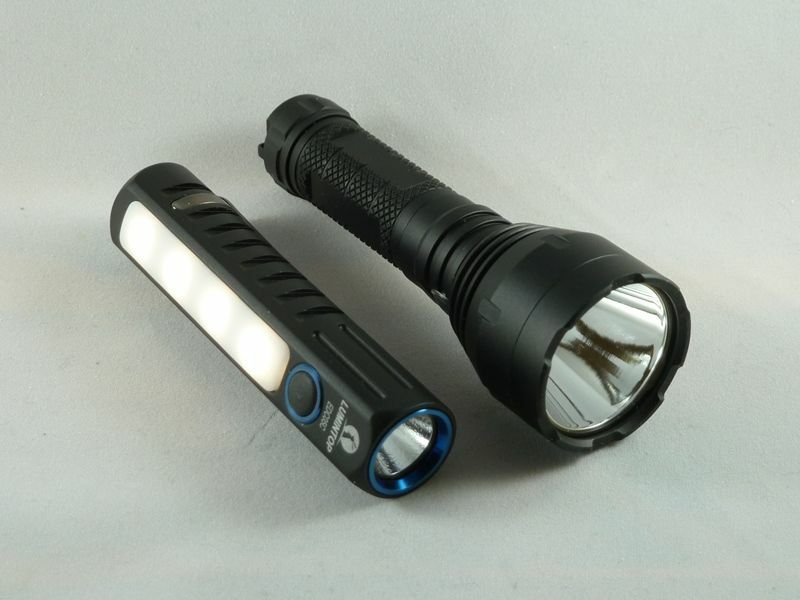 The dual output lights have not gotten much attention in general. 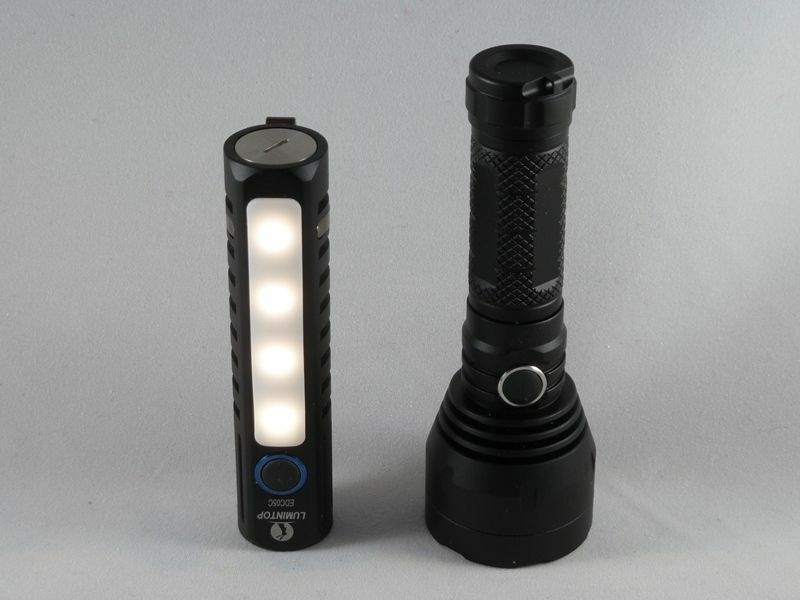 I'm hoping this one gets some traction though - it's another quality Lumintop, a brand I prefer, and glad they work so close with our community. This is a handy small light, and for me the easier a light is to carry, the more likely I'll be using it. 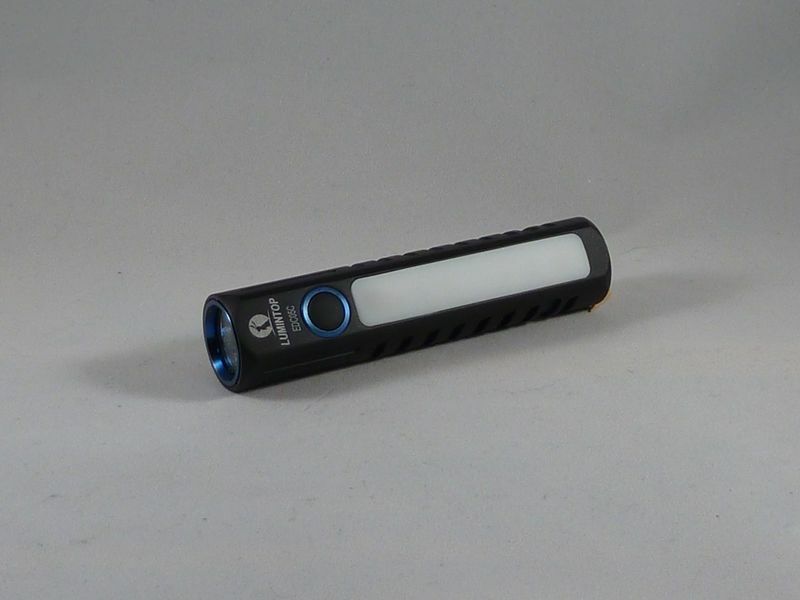 You can clip it on your collar or front pocket and have light right where you need it, and it's small and lightweight enough to not drag you down. 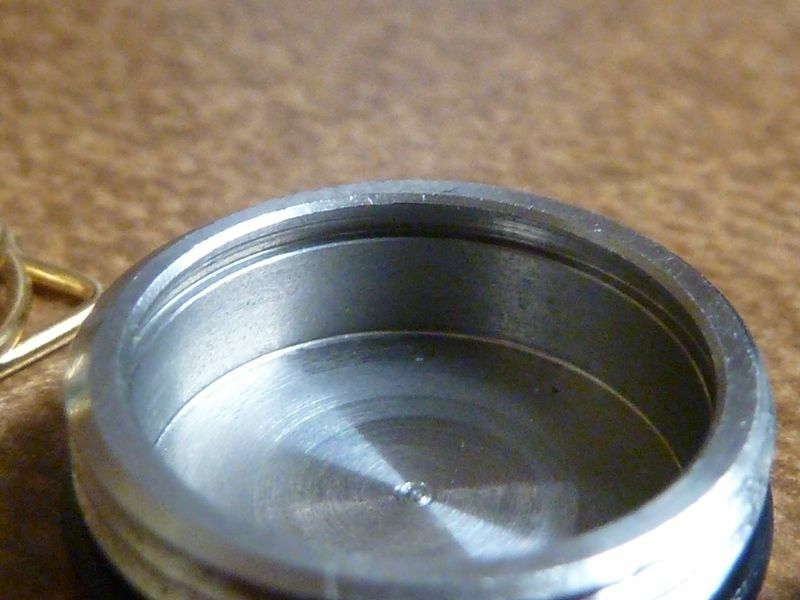 Is this emmiter an XHP35 HI or an XP-L HI? It has been questioned in another thread. 500 lumen from an XHP35 doesn’t seem correct. 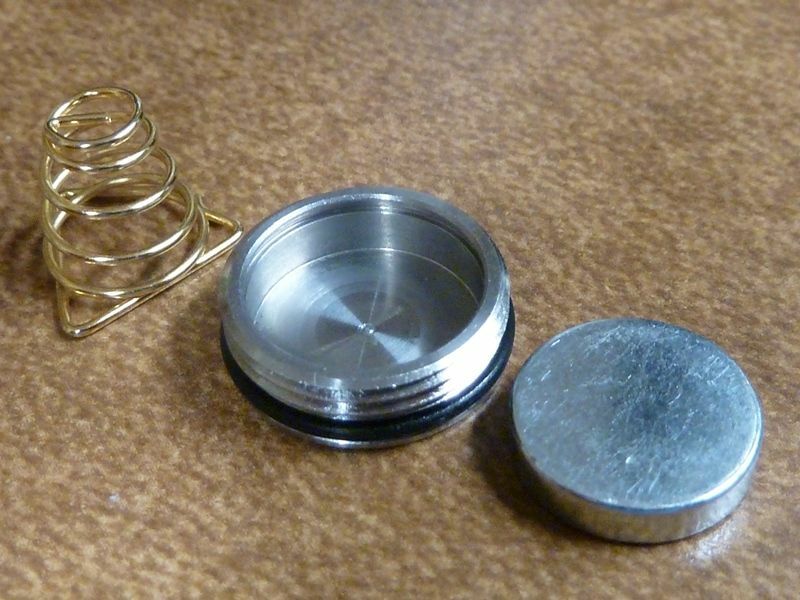 Is this emmiter an XHP35 HI or an XP-L HI? It has been questioned in another thread. 500 lumen from an XHP35 doesn't seem correct. 1 amp driving an XHP35 HI - yes, if you compare the LED with the pics in CRX's LED thread OP, it matches the XHP35 HI. So 1.0 amp driving an XHP35 HI does about 420 lumens as I measured thru their boost driver. does it work with Alkaleaks and NiMh? Hhmm... It will want to pull 1 amp at about 4.1V - it acts as true regulated boost driver. I didn't try it, but they seem to strongly not recommend it. 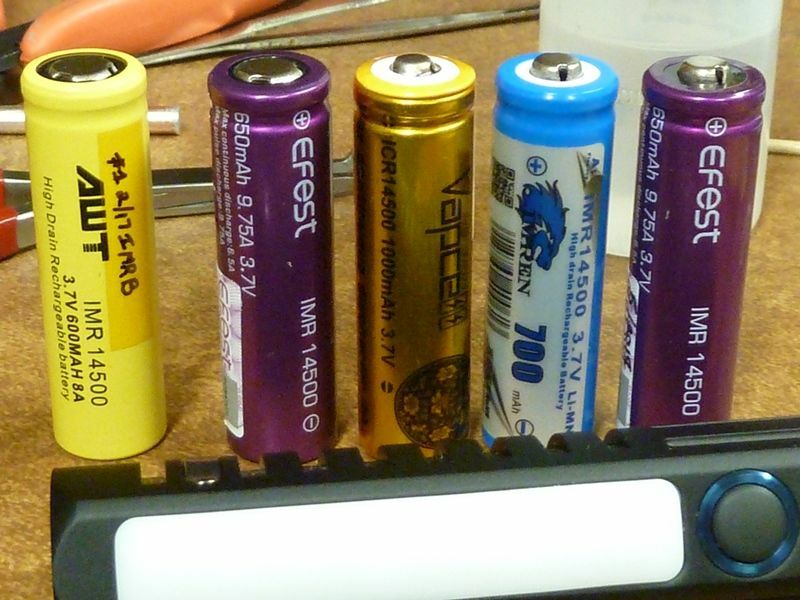 Notice: 1) Lithium battery belongs to the industry cell, it is highly recommended using a 14500 Li-ion battery with well reputations and protection. 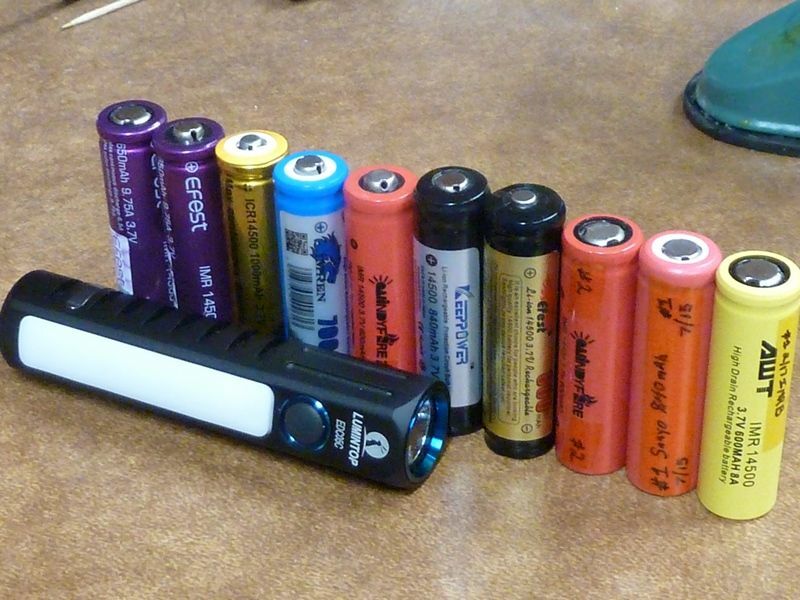 *2) To avoid the risk of exposition, it’s forbidden to charge the AA (Ni-MH/ Alkaline) directly via the flashlight. Just tried a couple new alkalines at 1.6V and they didn't work. I tried an NiMH at 1.3V and it didn't work - charging a couple up now... Think they charge to 1.5V? 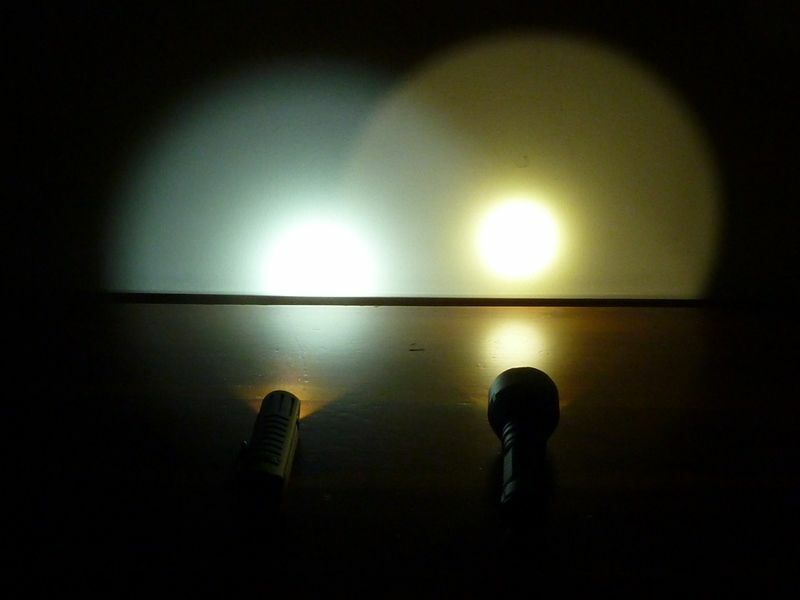 1 amp driving an XHP35 HI – yes, if you compare the LED with the pics in CRX’s LED thread OP, it matches the XHP35 HI. Hopefully there will be a way to squeeze a couple more hundred lumen out of this. Maybe not due to the led’s on the side. 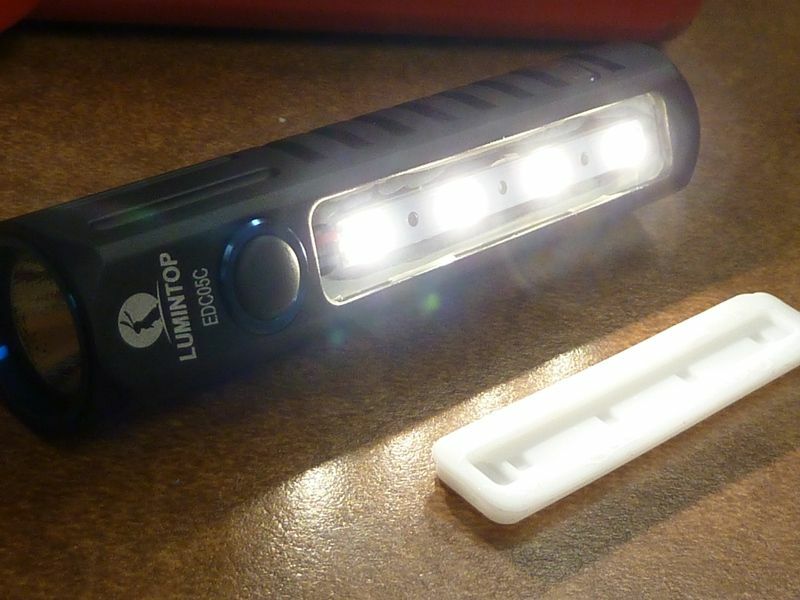 This seems like a pretty neat, and useful, little light. I’d be curious to know more about the brightness of the side LEDs. I really like the concept of the side LEDS and the main throwy one. I think this light becomes more interesting if you can open up the front bezel. 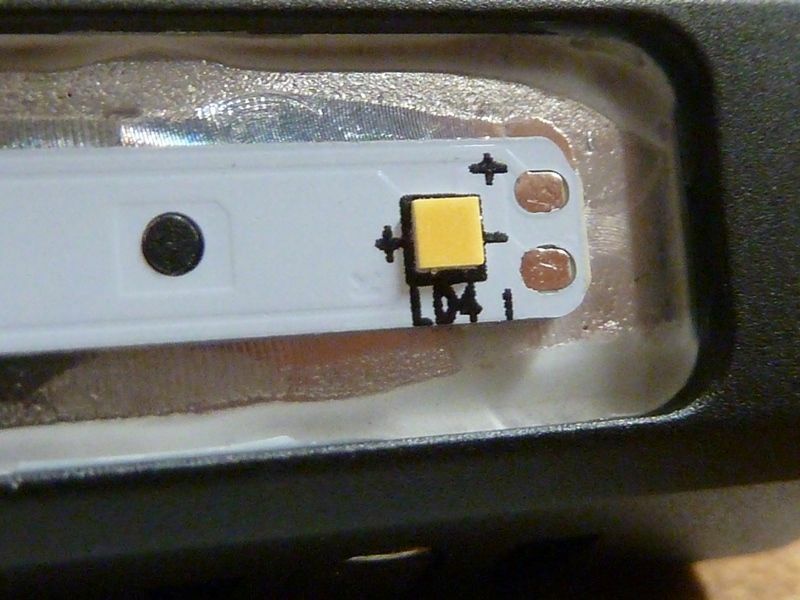 Do you know what the CCT is for the side leds? Thanks for the review and detailed images. Lumintop disappoints me again with one click on and press/hold for off. Otherwise a nice looking light. 1A at tail is roughly 0.25A to led for those interested. 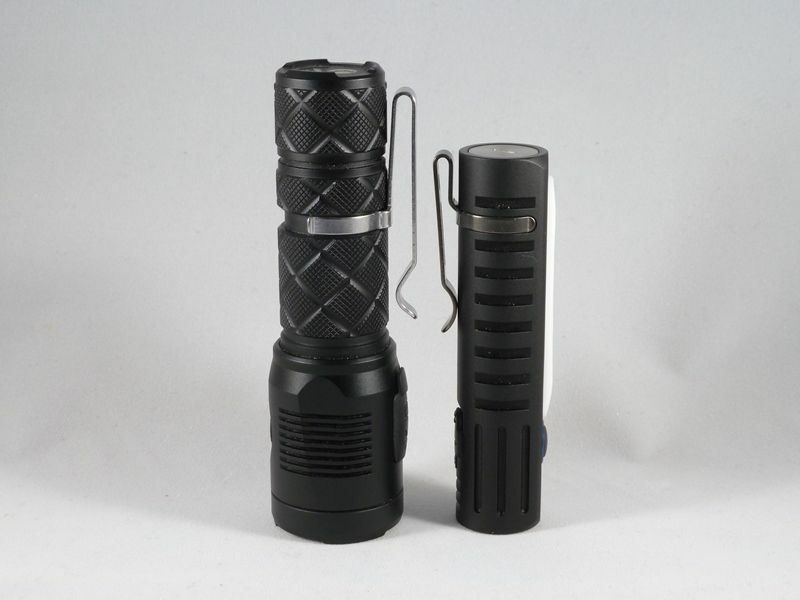 nice review, looks like a fun light, hah why havent olight done a light like this ? This should be a mistake. There are many mistakes on the Banggood listing. Just ignore them. They will get it fixed soon. This is from M4D M4X’s thread. I got confirmation that AA (both Alkaline and NiMh) are not supported by the boost driver ! 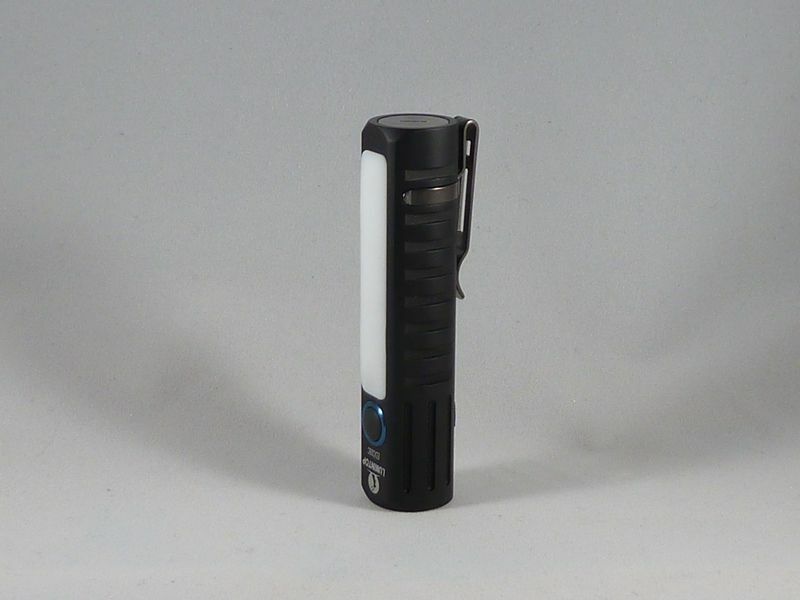 the need to underline NOT to charge those in the flashlight caused a missunderstanding in the preliminary manual which was used for the listing and description. Sorry for any confusion caused by that! Yes, tried with primaries and NiMH's and none of them worked, as expected. Specs in the OP are unchanged. I don’t see the point in using a HI emitter in an OP reflector. Why? A HD emitter would give higher output. If the throw is important, then a smooth reflector would be the right one. Too bad that Lumintop missed the required design elements for the two most obvious applications: As a headlamp, and as a hanged lantern. 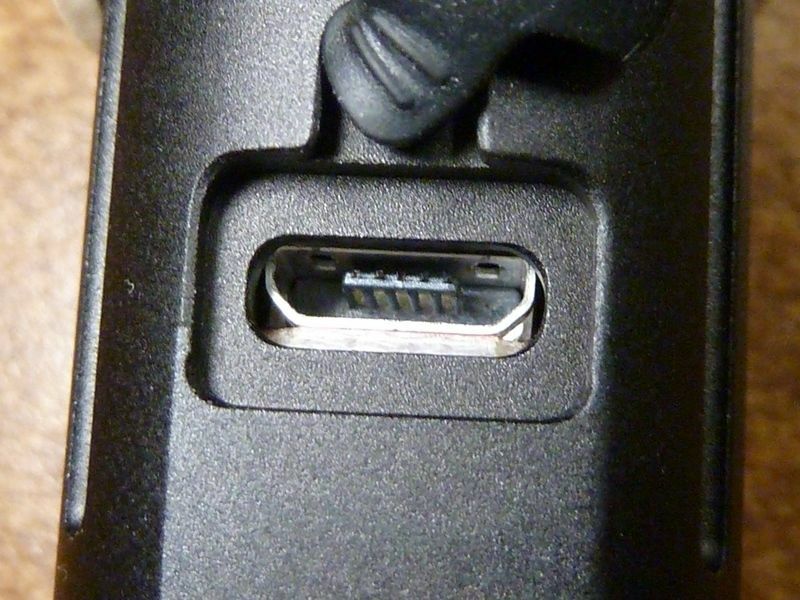 A lanyard hole and some more space on the body for headstrap mount ( and a somehow modified UI eg. 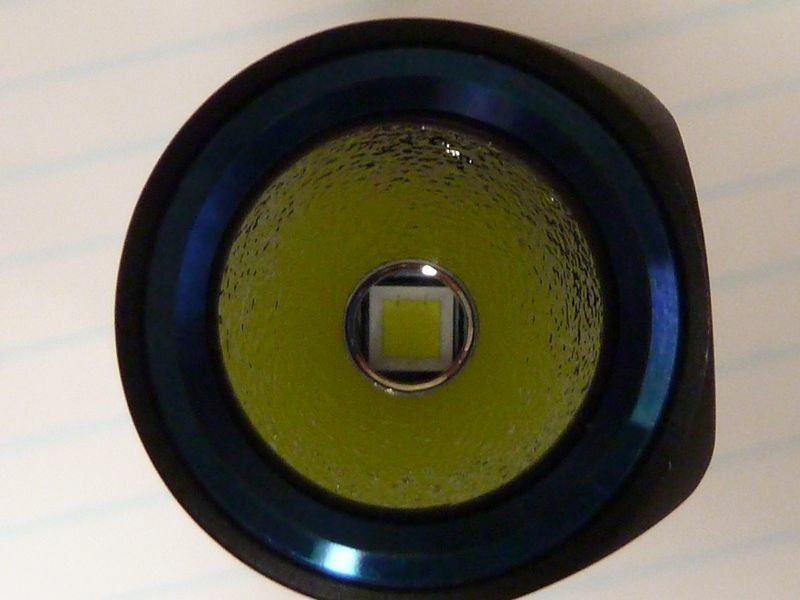 memorized side light modes ) could make this lamp really unbeatable. That is being really nitpicky. At these low outputs your not going to notice the tiny increase in output from an HD emitter. They probably used the HI because it either looked better or maybe because the HD version didn’t fit in the reflector. Also, I really doubt you would notice the extra distance from an SMO reflector. I’m guessing they used what gave the nicest looking beam. It’s clear to me that Lumintop was more focused on nice looking, usable output as opposed to going for maximum performance. Why would you assume this? These “required” design elements seem to be yours, not Lumintops. I think you missed the whole point of the design. It’s supposed to be a small, easily carried light with moderate output. Have nice looking beams divided into the two main catagories. A narrow beam for distance and a wide beam for close up. The magnet adds more practicality. The clip makes it easy to carry in a pocket. The 14500 cell makes it really small and light. They also put “EDC” right into the name. That means Every Day Carry. So the whole design is about being practical, not extreme. It's far from a headlamp or lantern design. The nice deep pocket clip I find to be the best use. Also like you can clip it to a front pocket or collar and get a nice flood light right in front of you. This front clip usage is how an electrician I know uses lights of this style. Nice it can double to look down dark crawl spaces or close in flood, but still in a small light weight form factor. That is being really nitpicky. 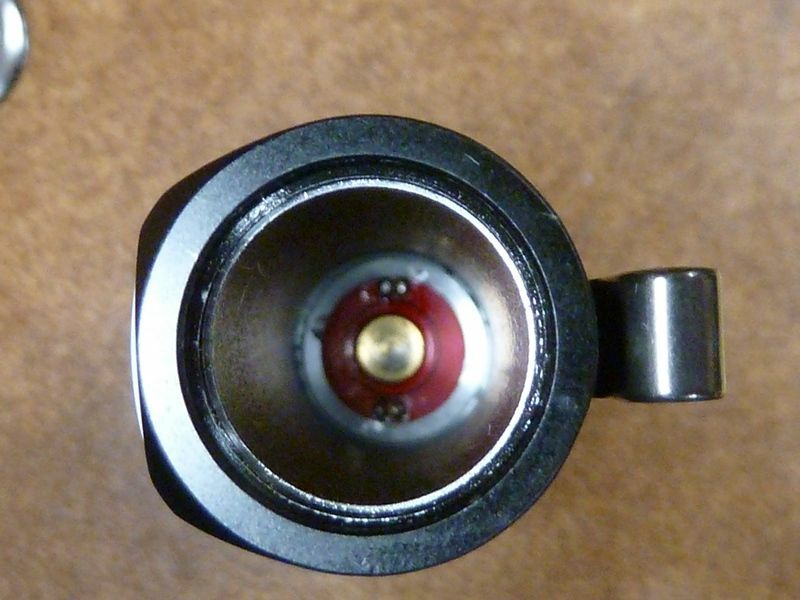 At these low outputs your not going to notice the tiny increase in output from an HD emitter. They probably used the HI because it either looked better or maybe because the HD version didn’t fit in the reflector. Also, I really doubt you would notice the extra distance from an SMO reflector. I’m guessing they used what gave the nicest looking beam. It’s clear to me that Lumintop was more focused on nice looking, usable output as opposed to going for maximum performance. OK., You’re right, there’s no noticeable difference neither in lumen output, nor in life and long term lumen maintenance at this lumen output level between HD and HI emitters. But the footprint is the same, so they are interchangeable in the same reflector. 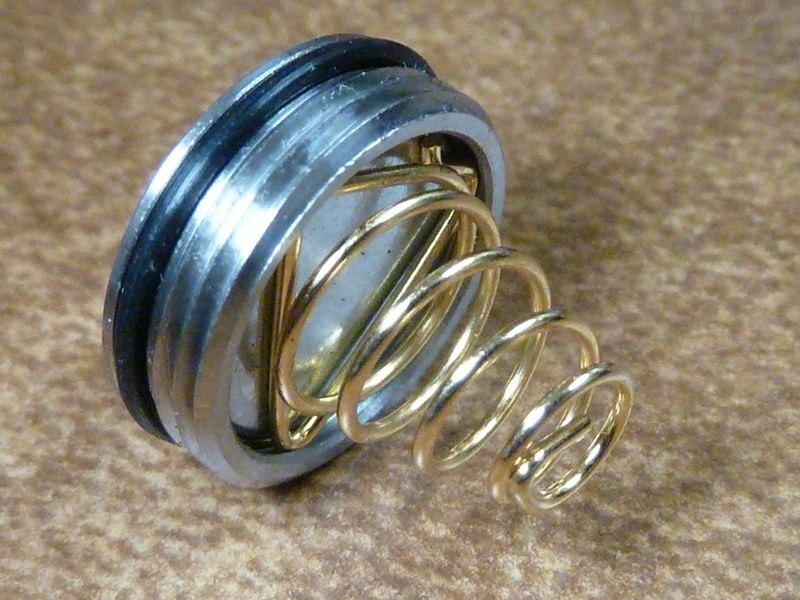 The HI emitter gives more throw – but it’s in an OP reflector. That’s why I am confused. My problem, anyway. Too bad that Lumintop missed the required design elements for the two most obvious applications: As a headlamp, and as a hanged lantern. A lanyard hole and some more space on the body for headstrap mount ( and a somehow modified UI eg. memorized side light modes ) could make this lamp really unbeatable. Sorry, bad expression. I should use “needed” or something like that. I mean that the functionality could be easily improved even more with some small and no cost design considerations. 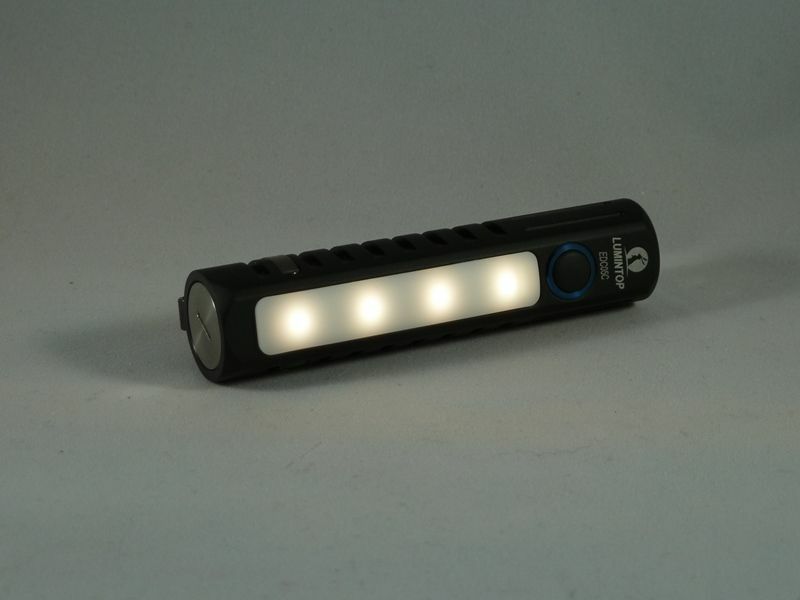 Applying a simple lanyard hole enables the flashlight to hang on looping the lanyard on the body, with side light down position. Making the side light diffuser shorter ( leaving more space at the end ) enables to put the light in a simple headstrap with the usual silicone mount and use the side light as a headlamp. 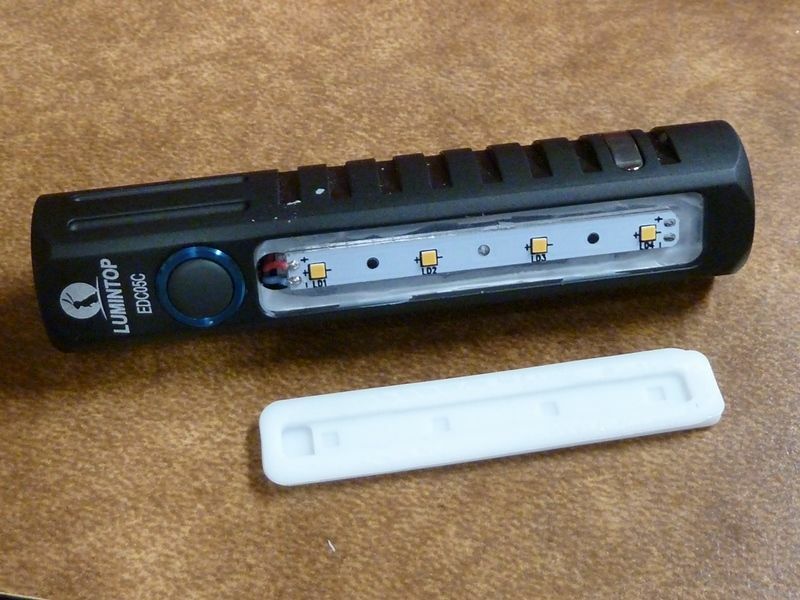 I am just surprised that Lumintop skipped these basically no cost but functionality improving opportunities. Maybe their designers are reading the forum seeking for tips to improve their products. Updated the OP with further battery tests/fit, and comparison shots with the GT Micro. i must say i find it a bit weird that u must use raised flat tops for a light that takes just one battery. Of course doesn't matter to me... 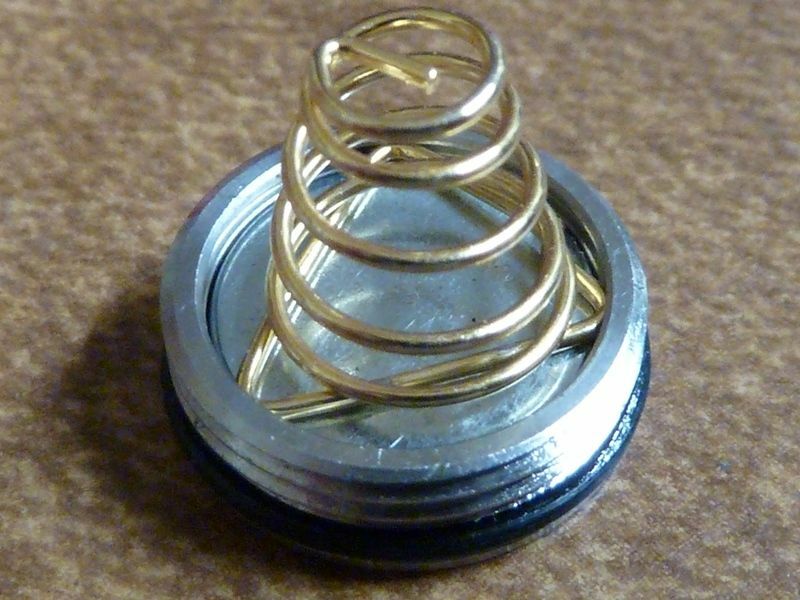 I got lots of solder top cells in 18650 and 26650 sizes. i wonder how many will buy this light and use whatever cell and be suprised it wont come on.. it shouldnt be like that, any cell should work imo flat or not depends where u live it can be an issue for some get certain type of batteries also. Can't imagine the Amazon comments, and resulting returns. Amazon buyers will expect anything that fits to work, period, no matter what is said on the listing. 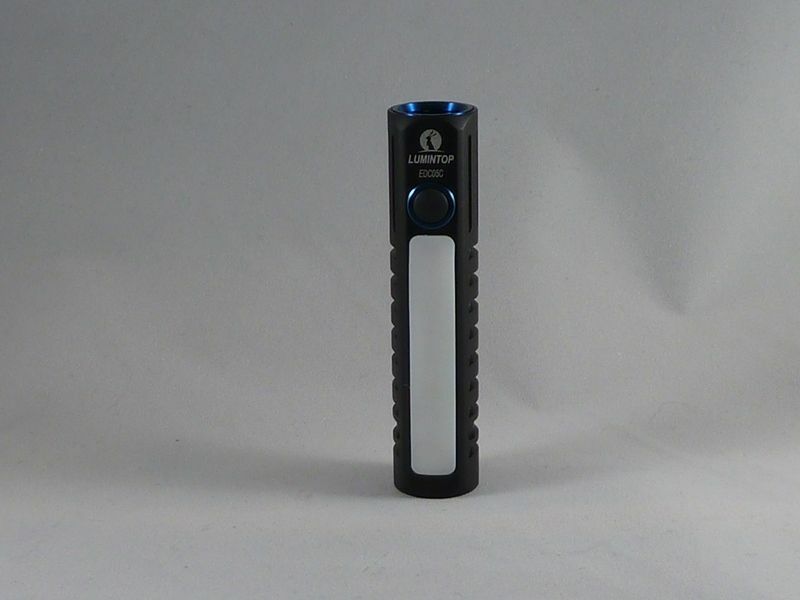 Lumintop -- are you listening? Please include a cell that fits and works! I really like the new 1000 mAh rated 14500's for this light. yeah battery would be a good idea, i mean a few bucks more but any user can use the light out of the box and have that battery as a reference if wanna buy more later on or so. OK - will do, thnx!